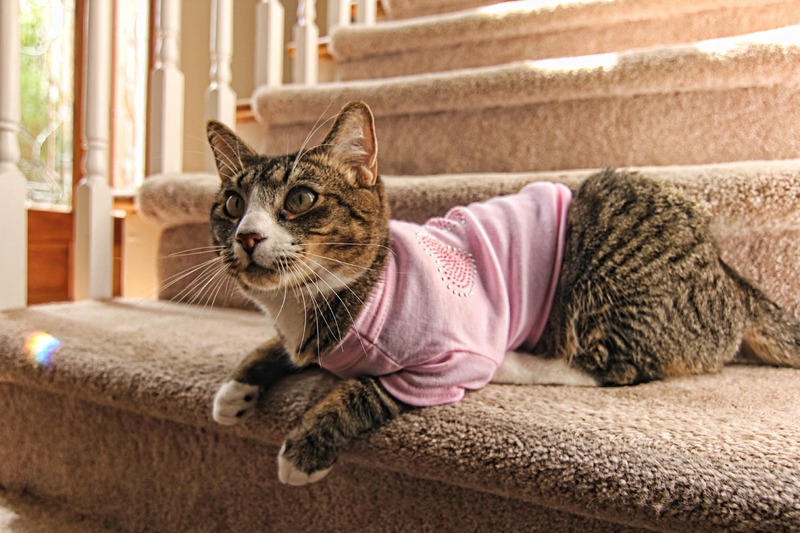 So� when you�re a boy cat and your owner doesn�t care when she finds a cheap shirt at the pet store, this is what happens. He kept it on for all of five minutes which is as long as any of my cats will indulge me. Still, just long enough to make a cute memory of the spoiled brat.